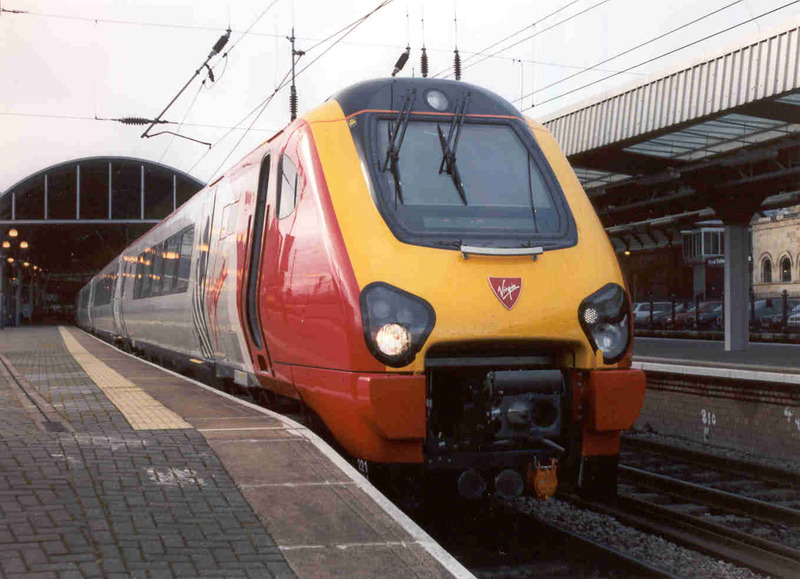 Between 2001 and 2004 the class 221 Super Voyagers underwent test and commissioning running on the Monk Bretton branch near Wakefield and on the East Coast Main Line (ECML). 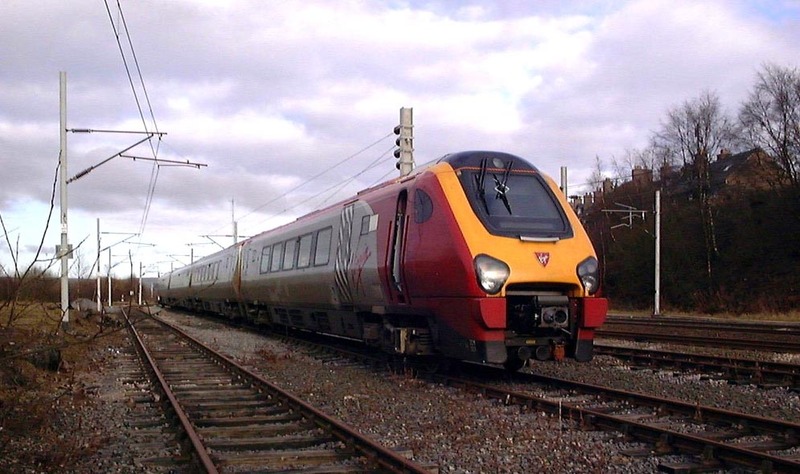 The class 221 units were built by Bombardier at their Horbury (Wakefield) and Bruges (Belgium) plants and consisted of 5 cars each having an underslung 750HP QSK19 Cummins engine driving an alternator which fed two longitudinally-mounted traction motors each driving one axle per bogie via final drives and cardan shafts. 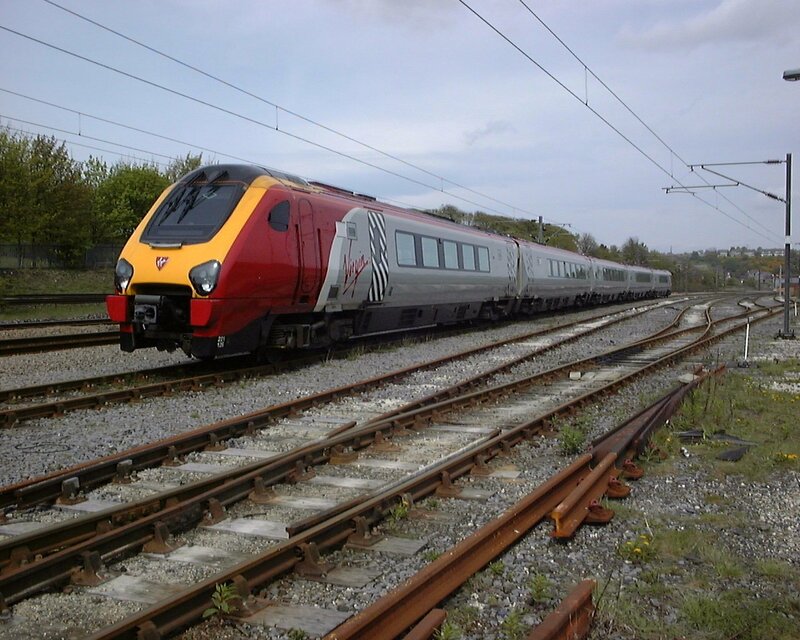 The units also featured rheostatic and friction braking and were capable of tilting at up to six degrees. 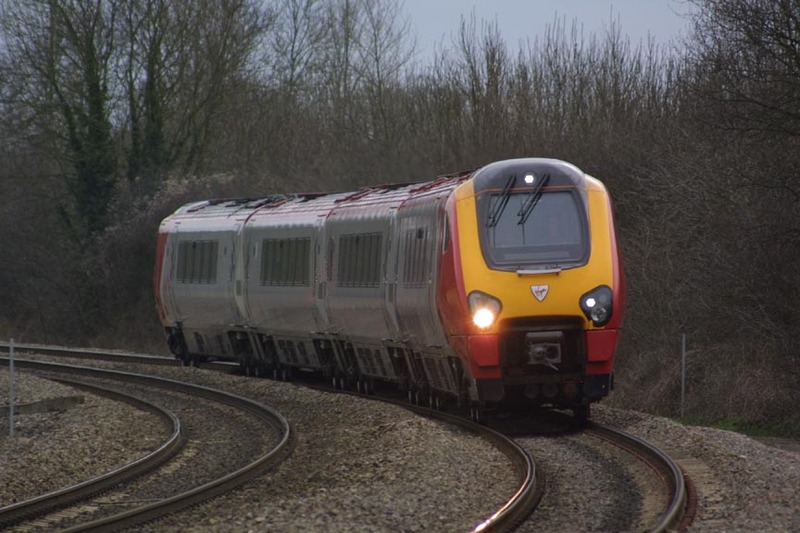 The class 220 units are known as Voyagers and are non-tilting but the tilting class 221 Super Voyagers have the same tapered body profile. 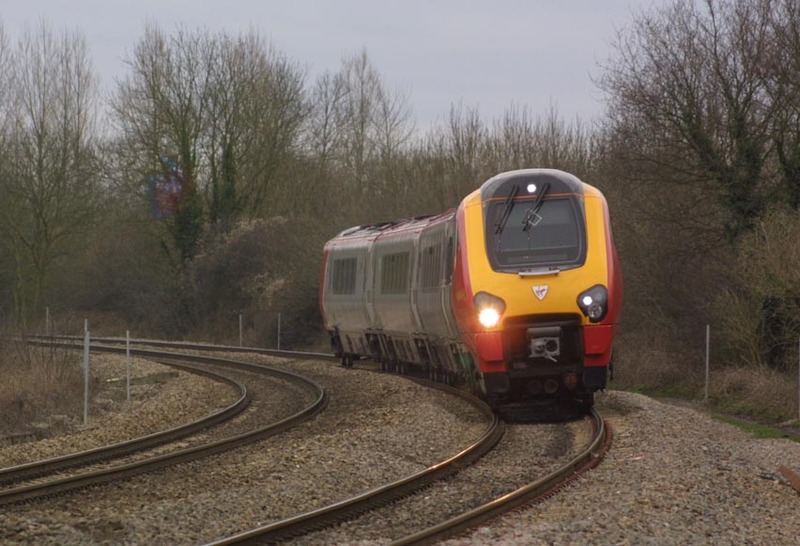 Serco staff were involved with all the initial test running under a specially written Class 221 Railway Safety Case on the Monk Bretton branch and on the ECML, the WCML and on the GW between Oxford and Banbury. 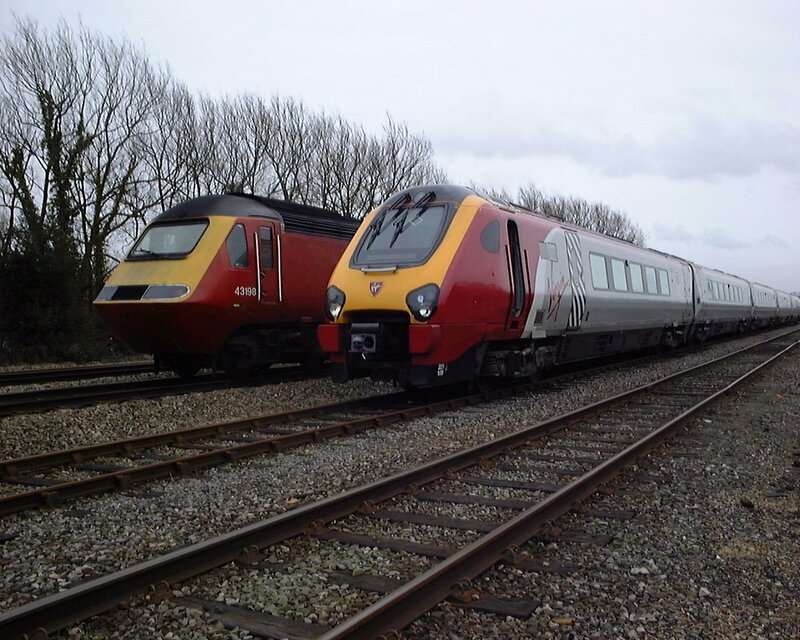 The units were delivered by rail from Horbury Works to Crofton Depot which used to be a track assembly depot - see class 220 page for details and pictures of Crofton. 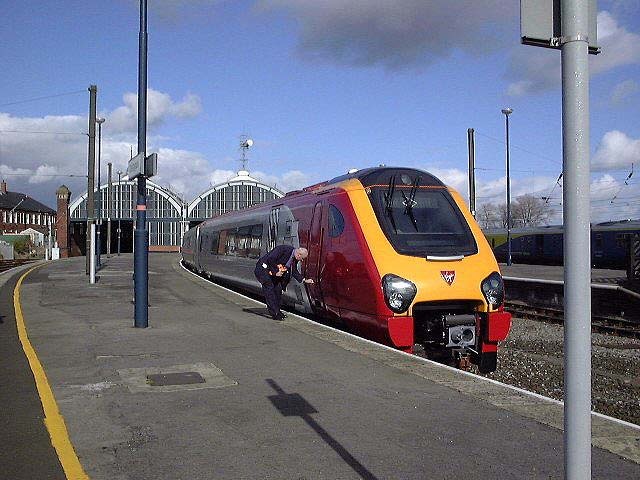 The depot is still in use today servicing Class 170's and 222's as well as Voyagers and latterly the class 180's. Horbury Works has now closed. 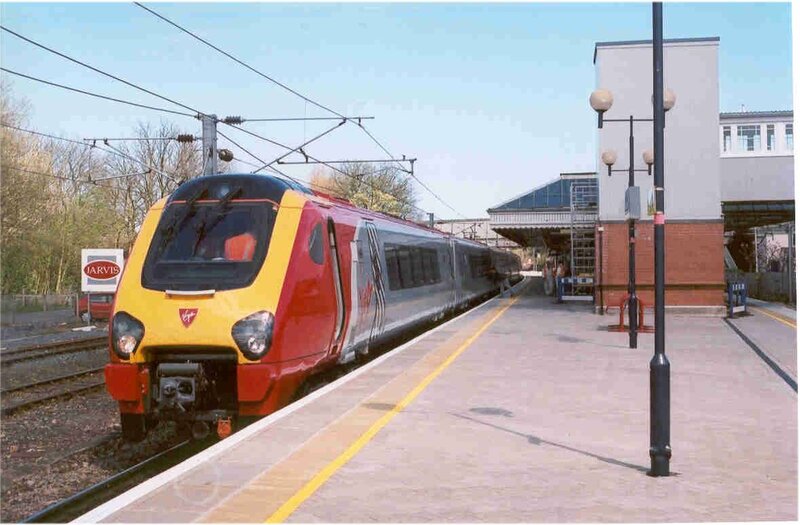 Serco undertook all the formal Acceptance Testing and a multitude of train operations on the class 221 fleet including commissioning runs on every unit, TASS commissioning and tilt testing etc. 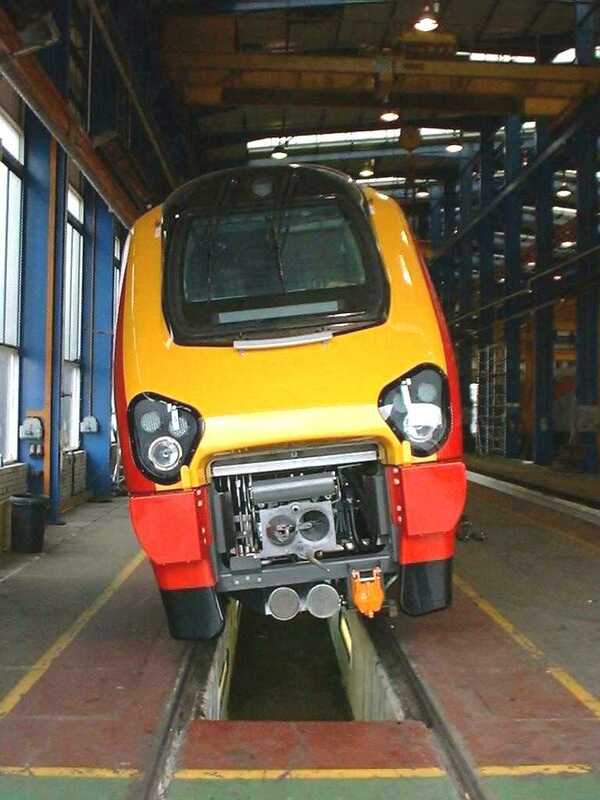 Prior to commencing running tests the units underwent static testing at the RTC, Derby. 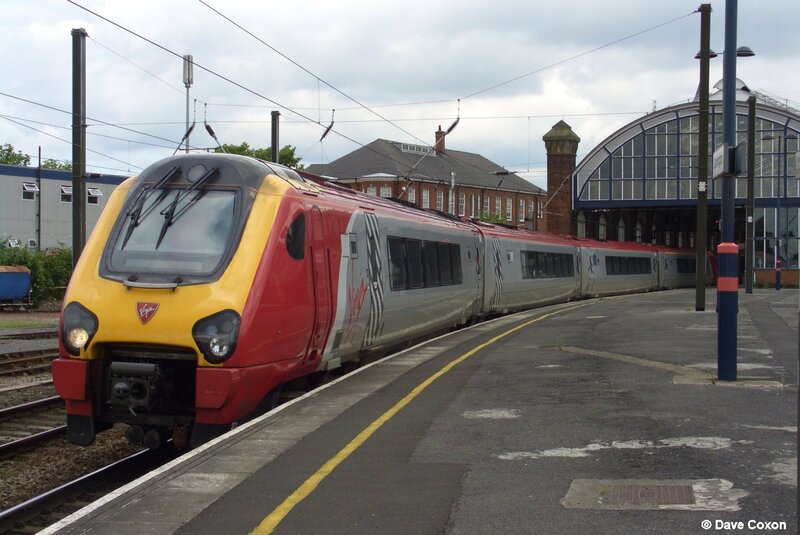 Apart from the low speed running at Monk Bretton (see class 220 page) further commissioning runs took place on the ECML as far north as Edinburgh. 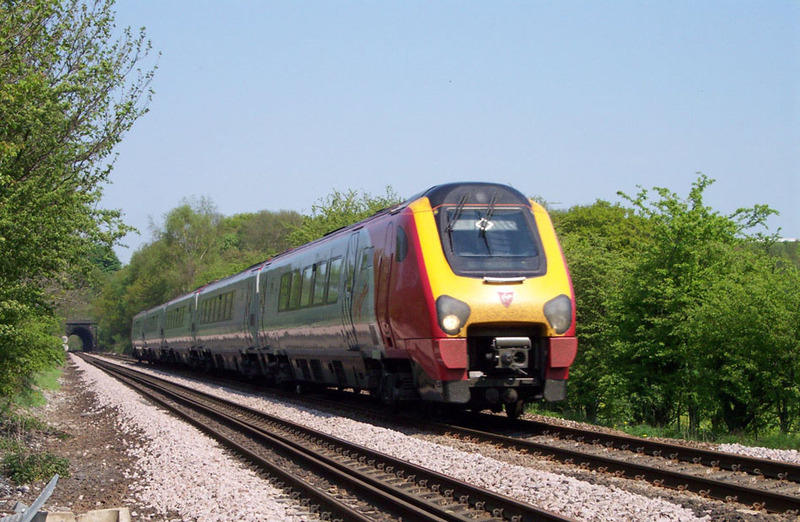 In addition various round trips were undertaken from Crofton to York, then to Edinburgh, across to Carstairs, down to Carlisle and Carnforth and back via Bolton and Manchester Victoria to Crofton . 221114 at Newcastle station after a run from Crofton sometime in March 2002 After a run from Crofton 221109 awaits departure from Berwick-on-Tweed on the return trip. 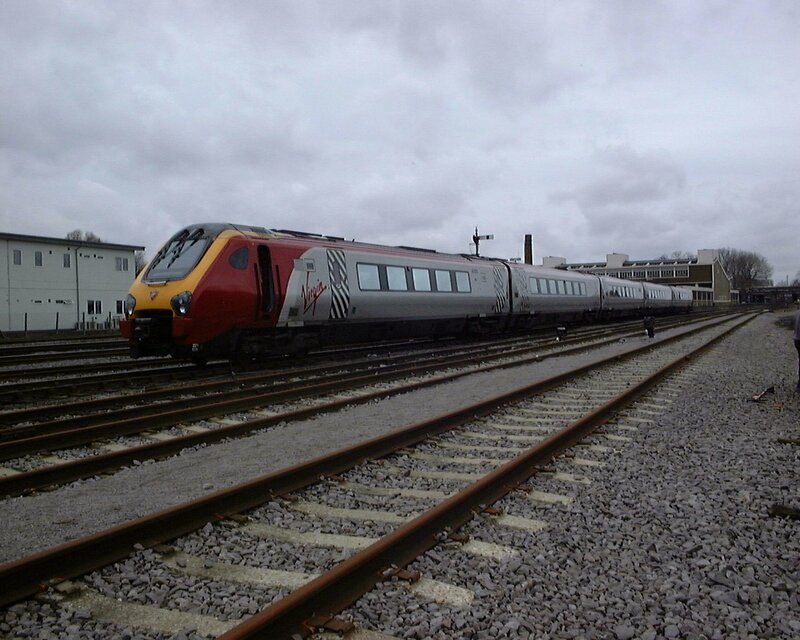 221109 pictured at Edinburgh after a test run from Crofton. 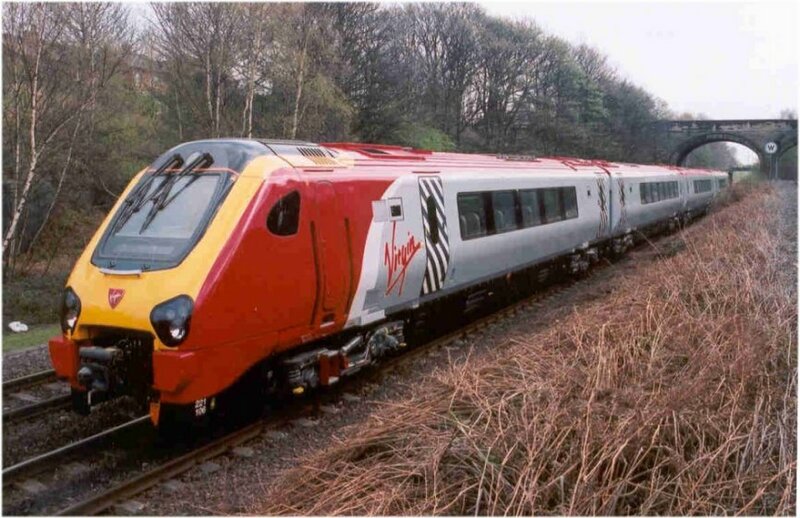 By August 2002 tilting trials were well underway with unit 221101 on the West Coast Main Line (WCML) between Carnforth and Carlisle. 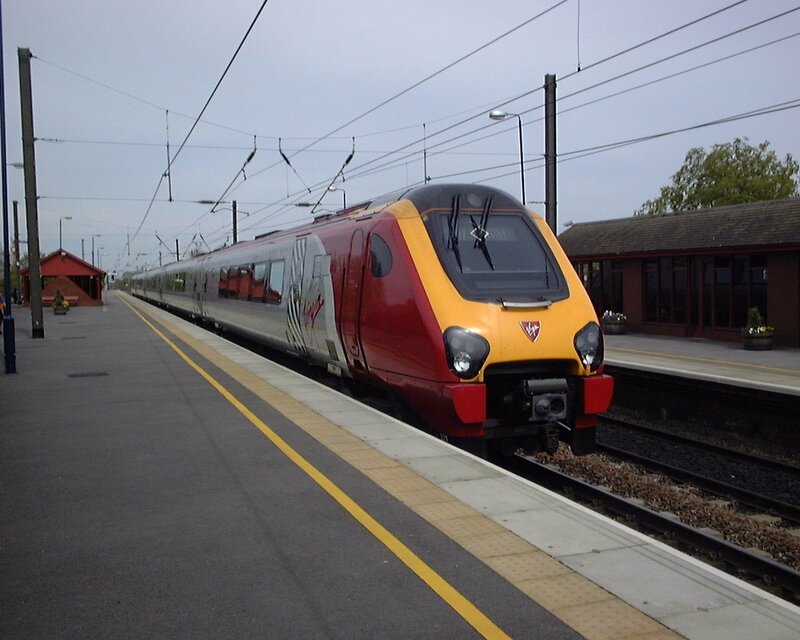 This part of the WCML was fitted experimentally with Tilt And Speed Supervision (TASS) balises for test purposes. This allowed the Super Voyager test train to exceed the normal line speed (Enhanced Permitted Speed) at certain locations and EPS signs to this effect were erected along the route. Unit 221101 stands in platform 1 at Carlisle having just arrived from Carnforth on 3rd August 2002 The driver's desk of a class 221 showing the small instruments and the large gap left for ERTMS driver's display - one day! Underbridge resonance is a phenomenon that occurs when the frequency of loading from rail vehicles matches the natural frequency of a structure or particular elements of a structure - namely a rail underbridge. Incidents of ballast moving on underbridges when being traversed by TGVs on SNCF lead Railtrack to instigate a test series on several new built DMU's (including class 180 and class 221) although realistically the design of underbridges in UK was different from SNCF and the fact that TGV's were articulated seemed to have passed Railtrack by. Unacceptable accelerations and displacements of the bridge deck can occur under these conditions leading to ballast instability and consequential deterioration of track quality. Some limited testing was carried out over instrumented underbridges between York and Ferryhill but as far as I know it showed there was very little effect from a five car DMU. 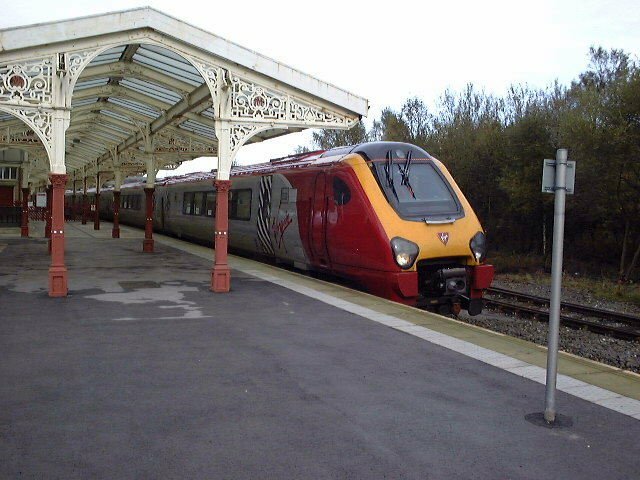 221126 at Northallerton on 4th May 2003 whilst undertaking test work on ECML in connection with bridge resonance testing. 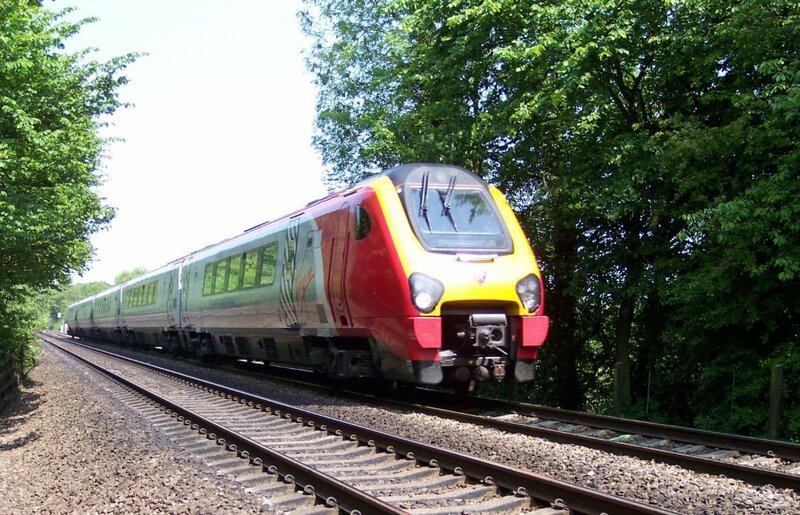 The line between Banbury and Oxford was one of the first to be fitted with Tilt And Speed Supervision (TASS) balises for test purposes. This line was usually limited to 90 mile/h but the Super Voyagers could run at an EPS of 110 mile/h. However this was later reduced to line speed for passenger service and rumours have it that the tilt system is now isolated. 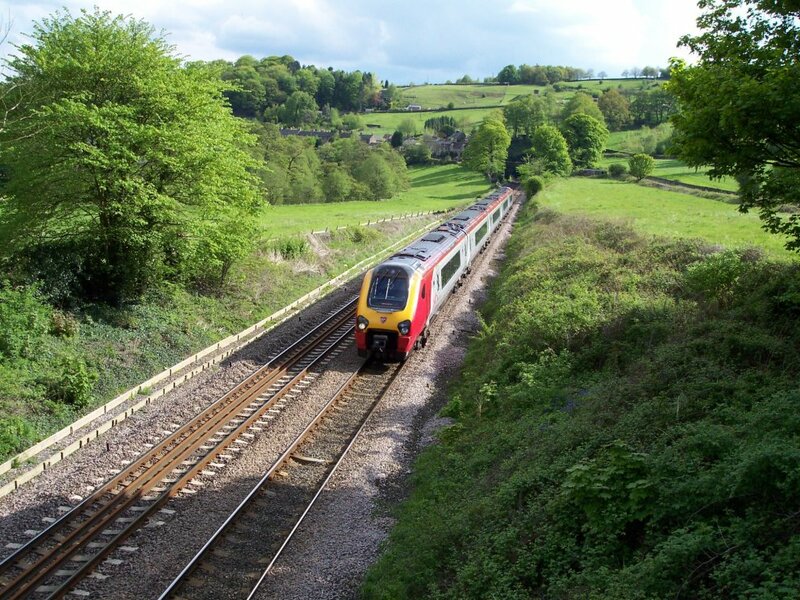 During the spring and summer of 2003 TASS commissioning took place on the route between Oxford and Banbury, unfortunately at night! The run down from Central Rivers depot in the early evening was usually straightforward but we often got stuck somewhere on the return journey which was invariably after midnight. 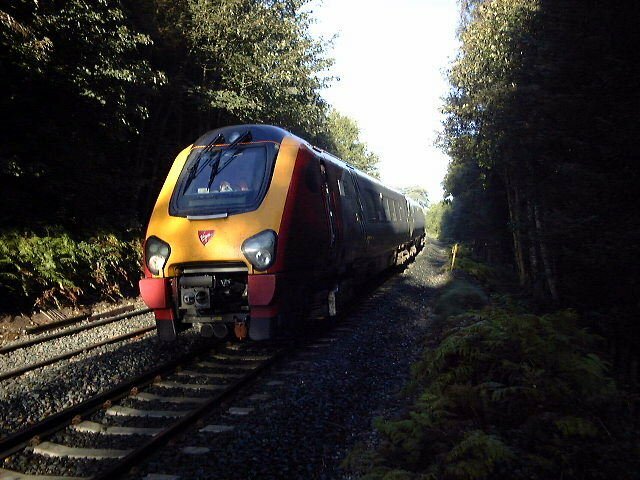 An unidentified class 221 set heads south towards Toadmoor Tunnel on 7th June 2005 On 27th June 2005 a 221 set is pictured on a Down service at Broadholme, between Belper and Ambergate. 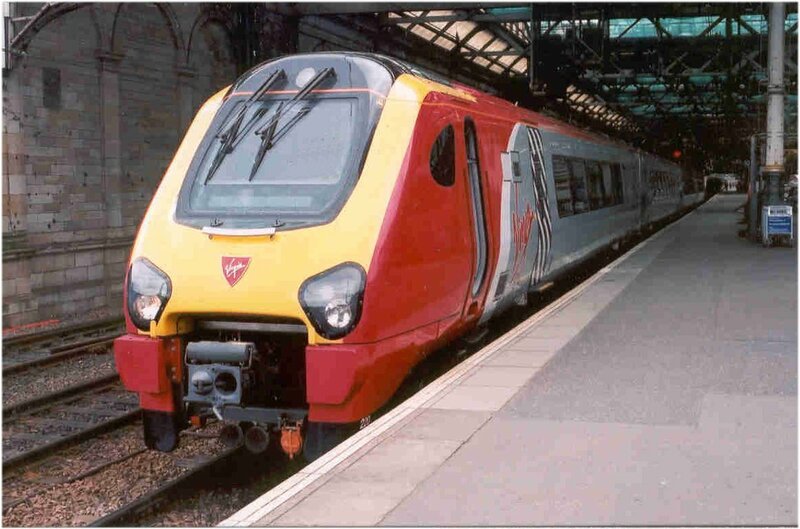 In July 2007 trials were undertaken utilising a class 221 to assess new brake pad material for both the 221's and 220's. The pads had already been proven on the dynamometer rigs at the manufacturers and the on-track testing was to validate their performance in traffic. 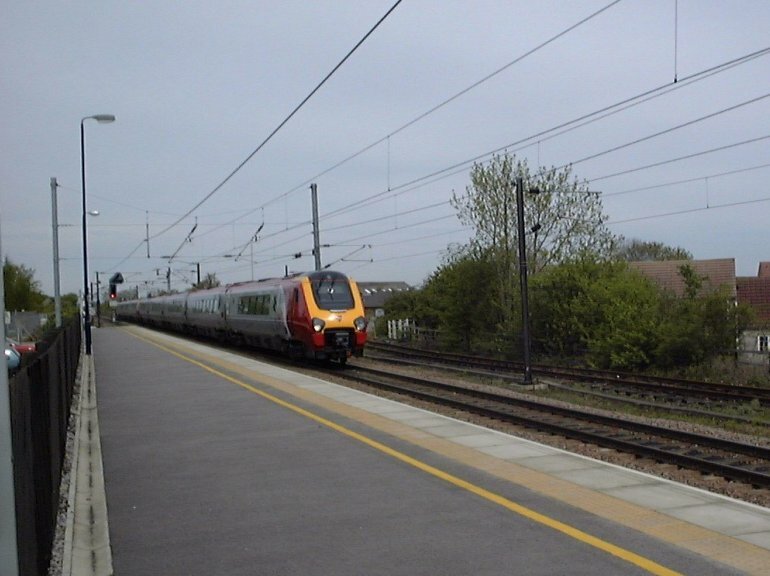 The trains were once again based at Crofton Depot, Wakefield which was very convenient for the ECML. 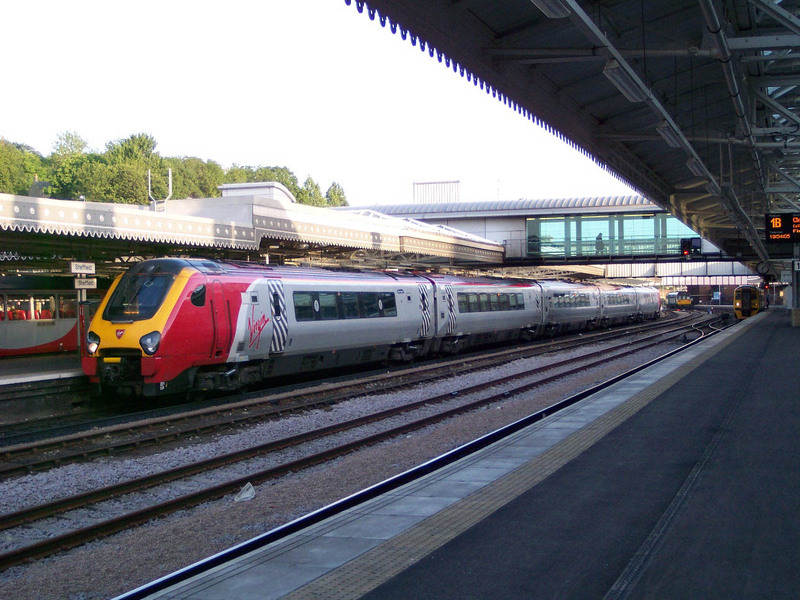 Four car Super Voyager 221142 waits on platform 4 at Darlington for a return trip to York in connection with tests on new brake pads on 17th July 2007.